Gaming chairs feature different designs, going from racing style to office style, rocker chair to pedestal design, with some chairs designed ergonomically and others not. 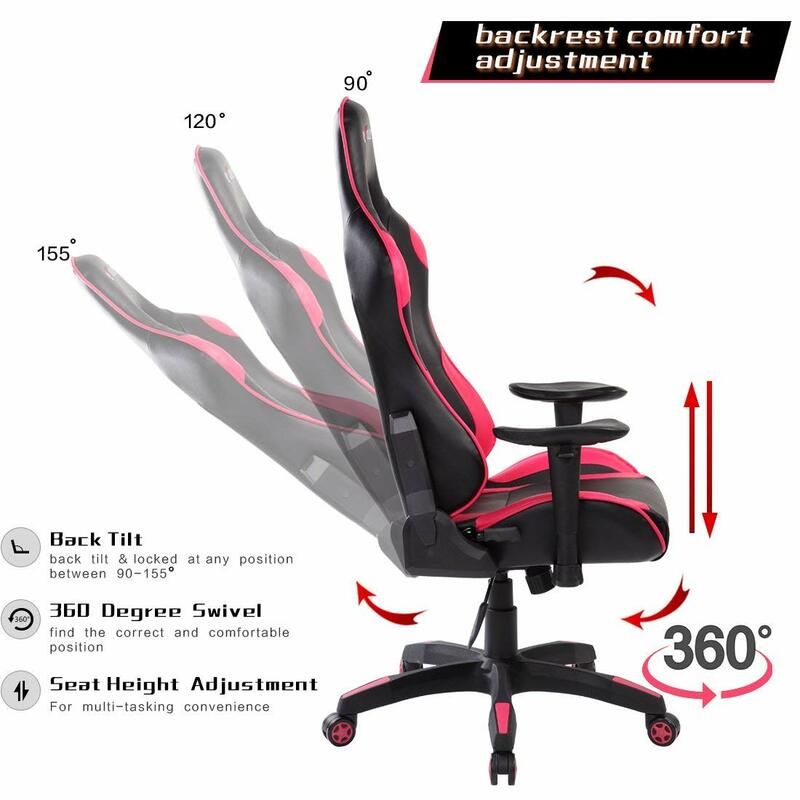 When reaching out for a classic office style gaming chair, for example, you might want to be in the lookout for a high back swivel chair, which offers more support to the spinal column because of the high-back feature, while providing great adjustability from the swivel mechanism.The rocker gaming chair has a design that seats directly on the floor and has no wheels. For this design, you must be keen on comfort, in the padding of the L shaped design. On the contrary, the pedestal gaming chair has a pedestal underneath, which can swivel around, but with restrictions as to matters adjustability to height. 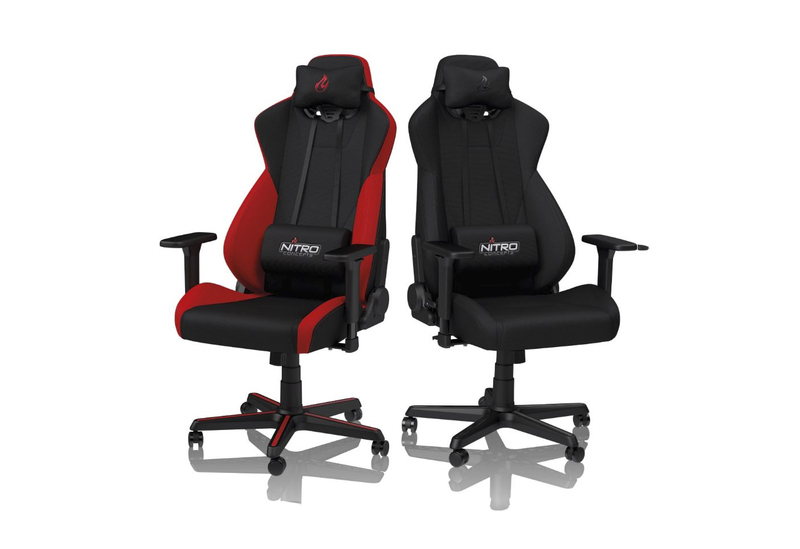 Different brands of gaming chairs provide different features as concerns adjustability and comfort. The most adjustable chair would ideally have a 180-degree recline angle, a 360-degree swivel mechanism, and five-wheeled casters. 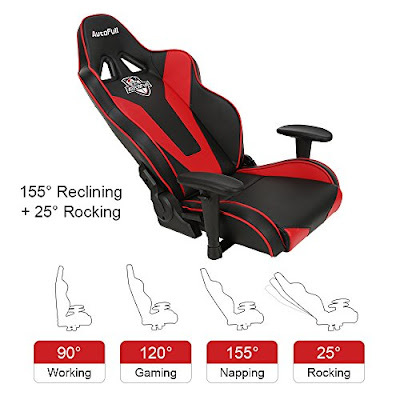 Further, the seat may come with a 4D adjustable armrests and a high backrest that also adjusts for height.These variables differ for different gaming chairs, so you must determine a chair best fits your flexibility needs. 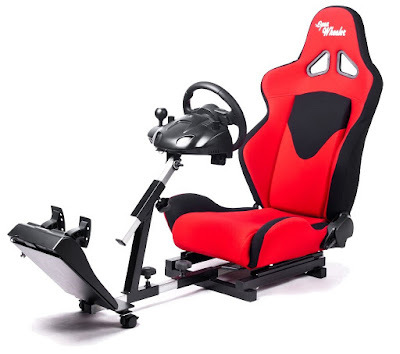 For instance, since most office style gaming chairs are adjustable to height, you want to consider a chair that has high stability, mainly because the hydraulic system of cheap office style chairs can easily break. As per the design of the chair, the adjustability will vary. As much as comfort and functionality if of the essence, it is necessary to consider the appearance and feel of a gaming chair. 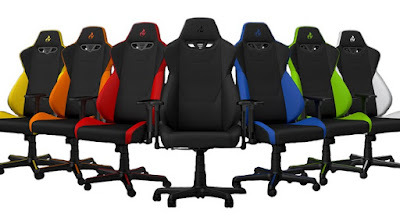 Different manufacturers have a distinguished finishing of their products, regarding material and colour combination, which explains the different materials used in making gaming chairs.The fabrics and materials covering gaming chairs are useful in the effectiveness of the gaming chair as concerns breathability, ease of cleaning and maintenance, durability and contact to the skin. Mesh fabrics are great for optimising air circulation, while PU Leather is hassle-free as to matters cleaning. For longevity, real leather serves the purpose, while also remaining kind on the skin, although with lower breathability. A bonus is always good news, and in gaming chairs, additional features can elevate the gaming experience. Some gaming chairs, mostly those suited for console gaming, come with a variety of extra features, for example, audio systems, connectivity to a variety of systems and consoles, speaker systems.For other types of gaming chairs, it counts to have additional features like retractable footrests, extra pillows for the headrest and lumbar support, foldability for ease in storage, massage features, among others. The primary goal is to chase a gaming chair that will offer you the most value in relevance to the gaming experience. A gaming chair is not an asset you plan on changing up every month or year. 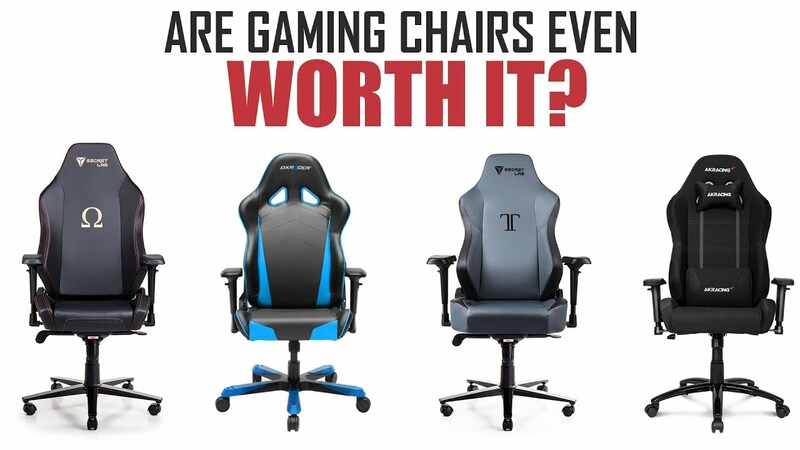 Your goal should be to acquire a gaming chair that can last you long enough. The framework of the gaming chair is the first thing to consider when checking out for sturdiness and longevity of a chair. Usually, aluminium and steel are the materials used to frame gaming chairs because they are hard to break and are not prone to corrosion and rust.The quality of the fabric and the foam also count for durability, even though the main factor is the sturdiness of the entire framework. Check out the base of the chair to analyse the material of the casters and the wheels, which ultimately go a long way in determining the glide of the chair across a room. 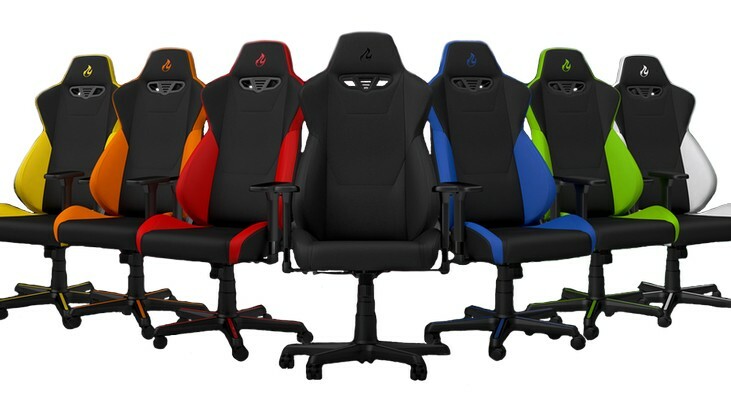 Gaming chairs can prove to be pretty expensive, with some like the Herman Miller retailing at around $1400. Depending on the amount you can spend, consider gaming chairs in the different budget categories, that is, mid-range gaming chairs, budget gaming chairs, among others.Ultimately, you must weigh out the value exchange for your money. 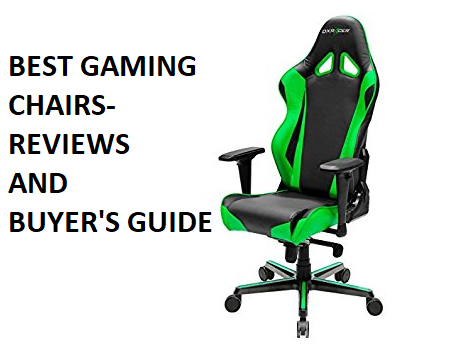 Even though the more expensive gaming chairs offer the best value compared to others, there are gaming chairs that can provide similar value at a lower price, for example, the Merax High Back Gaming Chair.